Back in March 2018, Sales Confidence staged its 4th live event at the Salesforce Tower. 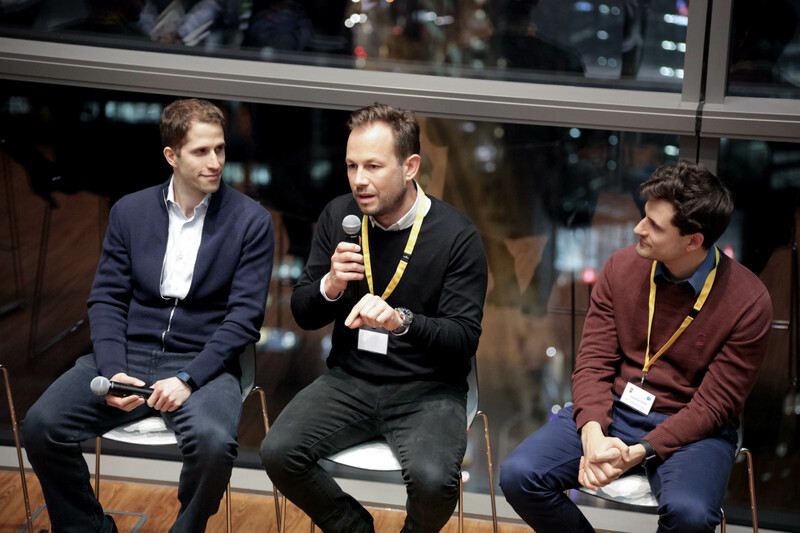 We were thrilled to welcome 4 of London’s most influential VCs, founders and sales leaders to speak at our event. We’ve pulled together some highlights for you, so even if you couldn’t be there, you can still soak up all the knowledge. Who? – Alex is Partner and Europe Head at Salesforce Ventures, the VC arm of Salesforce. Salesforce Ventures have invested in over 200 companies, making them the 3rd most active global VC. What? – Alex shared with us 3 things that SaaS companies often get wrong when pitching to VCs. From choosing the wrong type of VC, to not considering integration, to not knowing their metrics, Alex had it all covered. If you’re ever thinking of pitching to a VC, this is well worth watching. Don’t miss – Alex likening taking investment to inviting someone to move into your living room! The #1 thing – Not all investors are created equal. Be clear about what kind of VC you want. Who? – Richard is CEO at Peak, helping businesses become data and AI-led. What? – Richard told us about how they built the sales team at Peak. The things they got right, and the things that didn’t go quite as well. Don’t miss – Richard’s warning to founders who think that once they’ve hired a sales team, they can sit back and count their money. The #1 thing – Hire early. It takes time to hire people. The best salespeople are on notice periods. Bad salespeople tend not to be! Who? – Christian is CoFounder at Templafy, changing the game in standardising company documents. What? – Christian walked us through the sales process they use at Templafy, which he calls ‘Plant the flag’. Don’t miss – A peek behind the scenes at a successful SaaS company. Christian leaves nothing off the table. The #1 thing – Take control of the sales process. Stop hoping prospects will get back to you. Who? – Jennifer is UK VP of Sales at Onfido, the world’s best identity verification engine for enterprises. What? – Jennifer showed us how at Onfido, they get the whole company to love the sales team. The #1 thing – Sales teams get the credit, but every deal is a company effort. Let the rest of the company know how much you appreciate them, and you’ll receive appreciation back. I hope you enjoyed these videos. While you’re watching, make sure you subscribe to our YouTube channel so you never miss a video again. If you would like to be in the room for our next Sales Confidence live event on May 23rd at GoCardless, you can make that happen by simply clicking here. Tickets are free, so don’t miss out. You can also buy tickets to our first ever all-day conference, #SaaSGrowth2018, by clicking here. The best SaaS sales leaders, founders and VCs all in one room. You can’t afford to miss it.